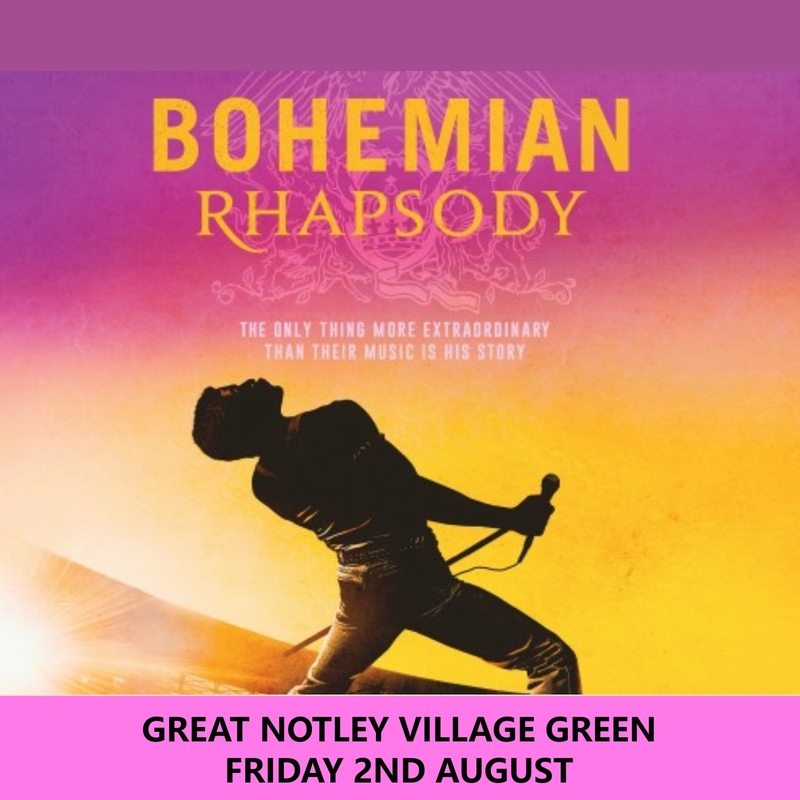 C&R Catering & Spectrum Screen Events are screening 'Bohemian Rhapsody' on Friday 2nd August at Great Notley Village Green. The gates open at 6pm and the film starts at 7.30pm. Bring a chair and get yourself drink or food from our reasonably priced vendors, sit back and enjoy the film. *Concessions are disabled people and their carers, students, senior citizens and children between the age of 12-18 (proof of eligibility may be asked for upon entrance).